A traditionalist would find the combination of a heritage Land Rover, a Barbour jacket, Orvis fly fishing kit and a faithful canine companion irresistible. 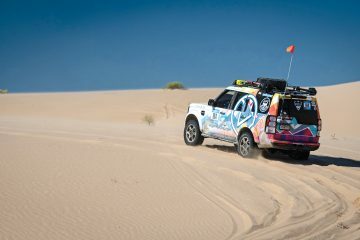 For example, when you visit Rovers North, you pull into a gravel parking lot filled with Land Rovers and once inside, navigate through a pack of office dogs who accompany their owners to work each day. So it’s delightful to see that Orvis, Barbour and the Petfinder Foundation would link up to create the opportunity to adopt a dog — and if you’re really lucky, to win a customized Barbour Defender or specialty items from Orvis and Barbour. 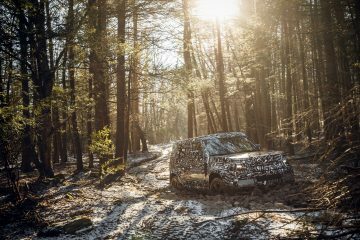 Orvis, the fishing and hunting outfitter, has a long and personal connection with Land Rovers. 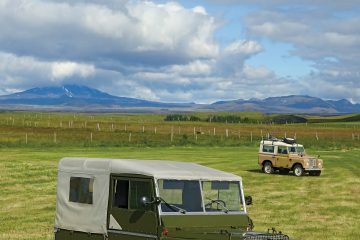 Their catalogues seem to always feature a Land Rover on their pages; indeed, Scott McEnaney, the manager of Orvis Adventures, grew up in Series Land Rovers and has one to this day. 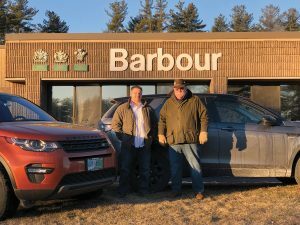 Similarly, Barbour has its own connection with Land Rover UK and its famed clothing, beginning with its waxed cotton jackets, appears often on Land Rover owners. Lastly, what’s a Land Rover without a dog? The Vermont-based retailer Orvis is also the largest outlet for Barbour in the USA, so it’s not surprising that they would collaborate to create the Orvis Barbour Defender, a delightful rendition of a classic NAS Defender. As in 2017-2018, beginning last fall and ending this spring, you could win the customized Defender by entering their joint sweepstakes. Tom Hooven, Nashua, NH, works as General Manager of Barbour in the USA from his office in Milford, NH. 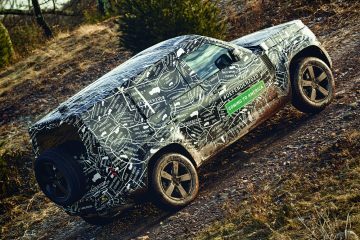 He’s also a Land Rover enthusiast who pronounced himself very pleased with the 2017 Discovery Sport, purchased from nearby Land Rover Bedford. 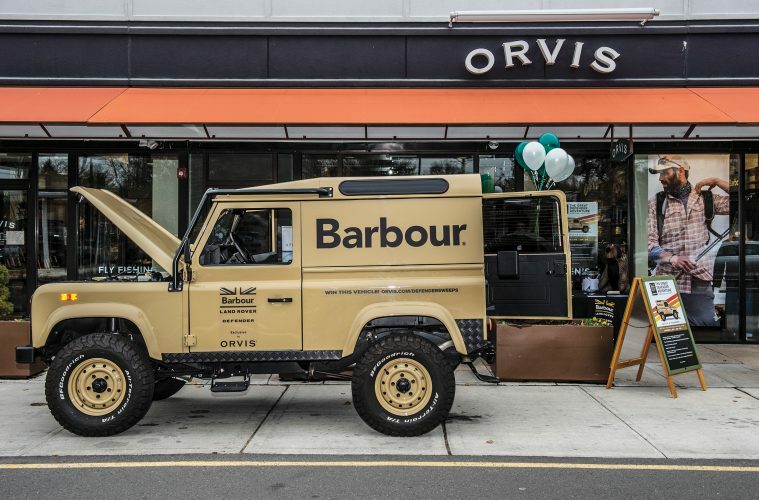 While Barbour has ten stores and four outlet properties in the US, Orvis remains Barbour’s largest source of US sales, so it made sense to have the Defender make the rounds to Orvis locations. 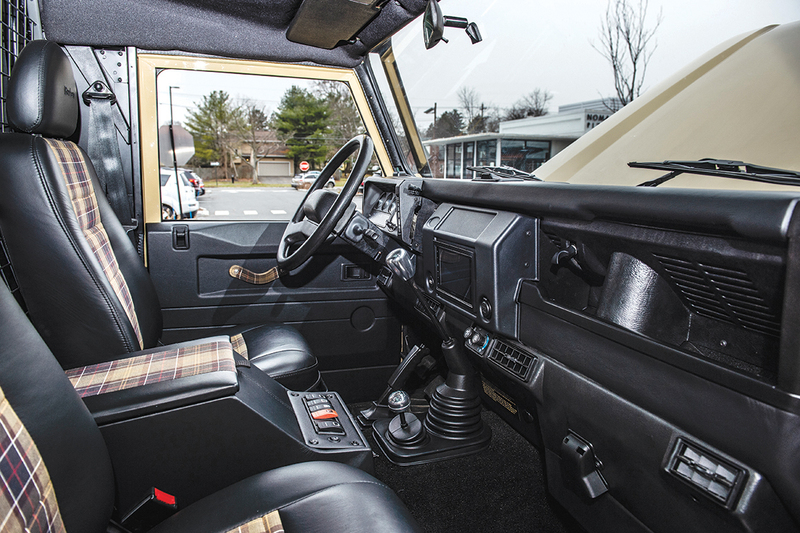 Starting last October in New York and New England, the Defender headed to Orvis stores in the South. 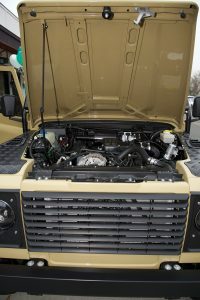 Scott’s research started with the VIN, which showed this Defender began life as a ’95 NAS Defender soft-top in AA Yellow, with the standard 3.9L V8 and LT77 5-speed gearbox. 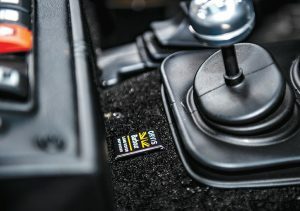 The refurbishment and custom work was undertaken ECD Auto Design, Kissimmee, FL. If you visit one of the Orvis locations and spot the Barbour Defender, you can’t miss the stuffed animal dog seated inside. Yes, Orvis carries a wide range of accessories for your dog, but for this sweepstakes, Barbour and Orvis have partnered with the Petfinder Foundation. Emily Fromm works with the Tucson, AZ-based non-profit that promotes pet adoption from shelters nationwide. 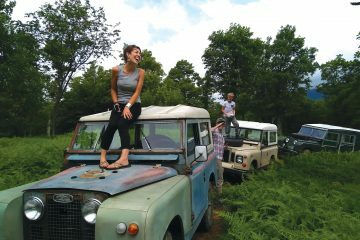 Tom Humble decided to leave his family’s business of restoring British cars near Birmingham, England, and trade in the drizzle and chill for life in sunny Kissimmee, FL, in 2013. 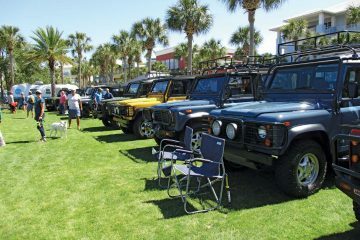 “I was surrounded by Land Rovers at an early age. 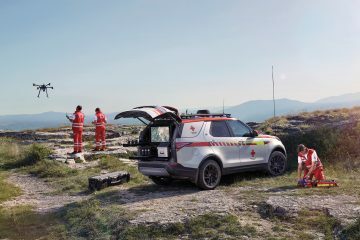 Our home area was quite rural with Defenders around us everywhere.” The popularity of the Defender here, coupled with his extensive knowledge of the vehicle, made this a logical decision. 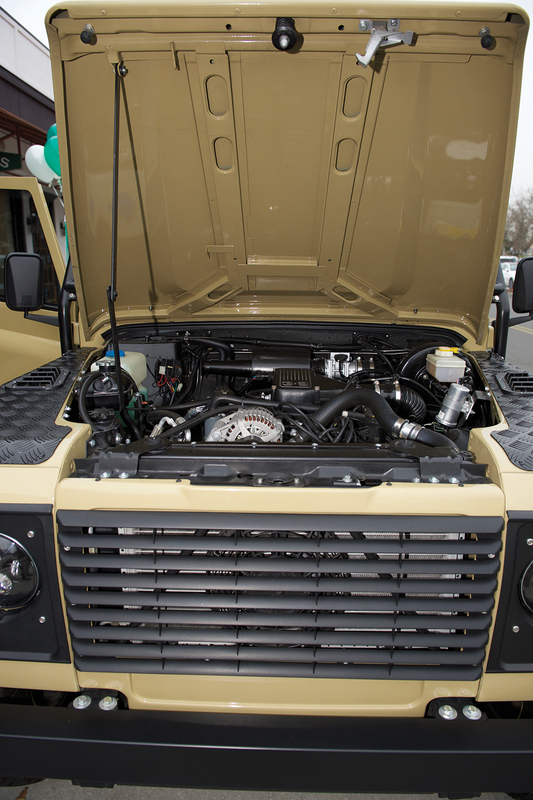 Formerly known as East Coast Defender, the company will either restore or customize your choice of a Defender 90, 110 or 130, Range Rover Classic, or Series Land Rover. Its 30 full-time employees work out of a 21,000-sq. ft. facility, immodestly named “The Rover Dome.” In late 2017, the company opened a West Coast design and sales center on the Pacific Coast Highway in Malibu, CA.